I have question about sonkyo. I am fairly new to Kendo and I enjoy it very much but I am having trouble with a couple things and do not wish to give up Kendo because of them. I have had a quite few knee operations. So I have a lot of pain from arthritis in my knees when I try to sit seiza and even more painful is sonkyo. I have found alternatives seiza but haven't seen anything on sonkyo. Is there something that I can do in its place that is acceptable and meets etiquette? Answer: Thank you for your question. 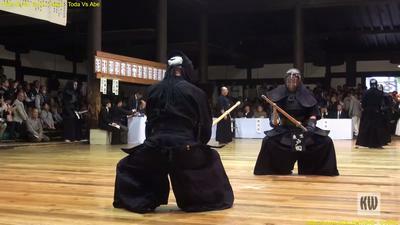 I am sure there are many people who suffer from knee pains and cannot do sonkyo or seiza. 2. 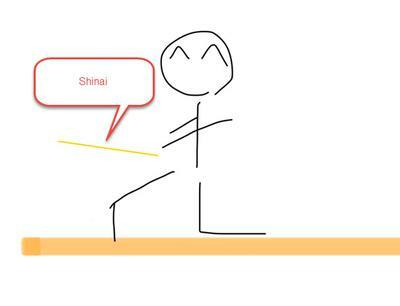 Squat: If you cannot do orishiki, do this as Toda sensei and Abe sensei are doing in the picture. 3. Don't do it: If you cannot do either one, then don't do it. If you physically cannot do it, you cannot do it. So you don't need to do it. But of course, you should not forget to respect your opponent.